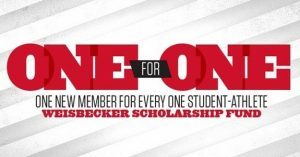 The Illinois State Athletics Department’s Weisbecker Scholarship Fund (WSF) began its new “One for One” membership drive June 1 and will continue the campaign through the end of 2016. The “One for One” campaign targets a goal of 400 new members by the end of the calendar year, one for each student-athlete at Illinois State. Gifts of any size count toward the goal of 400 new members. Weisbecker Scholarship Fund has a goal to have one new member for every Illinois State student-athlete. Support of the WSF is critical to providing a high-quality experience for student-athletes during their time at Illinois State. WSF members provide student-athletes with the resources necessary to earn a degree and put on a Redbird uniform. In the last 12 months, Redbird student-athletes have achieved a 3.23 departmentwide GPA (89 of those with a perfect 4.0), won two conference championships, been named Academic All-Americans once, been named All-American twice, and volunteered more than 2,500 hours in the Bloomington-Normal community. All of this was made possible because of the Weisbecker Scholarship Fund and its generous members. 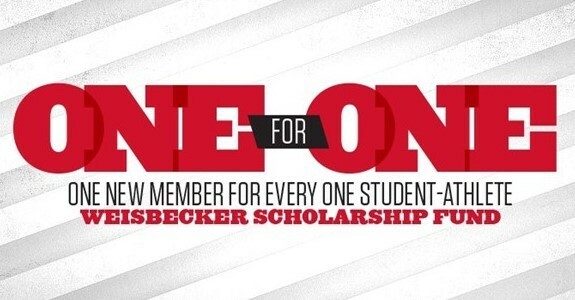 In conjunction with the “One for One” membership drive, a new Weisbecker Scholarship Fund website has been created. The new website will provide consistent updates to donors along with exclusive content and more. Gifts of any size are encouraged and will help reach the “One for One” goal. Gifts can be made at WeisbeckerScholarshipFund.com or by calling the WSF office line directly at (309) 438-3803.